Navigating between Education, Technology and Development Cooperation. With splashes of Art, Science, Literature and Philosophy. I currently work for the University of Girona, at the Science and Technology Park, where I design and implement creative learning experiences for children and young people, within the framework of the UdiGitalEdu group. I am a computer engineer and an expert in maker education and computational thinking. Since 2005, I have been developing edtech projects with special emphasis on promoting creativity and critical thinking in schools in disadvantaged communities. Over the past few years I have volunteered repeatedly in India, collaborating with different schools and organizations. I recently founded the international project Inventors4Change, which promotes ChangeMaker Education for the 21st Century among children from vulnerable groups in India, Colombia and Spain, by engaging them through Technologies for Creative Learning, Global Citizenship Education and Collaborative Digital Storytelling. Check my updated CV (PDF in English). A list of publications, communications and talks (in Catalan, Spanish and English). Visit the UdiGitalEdu website and meet the rest of the team. The way to do this exploration will be fundamentally practical, and I will be sharing creative learning experiences, activities and workshops, all of them related in some way to playing, tinkering and hacking with art in museums or public art in the streets. All the activities will be grounded in maker philosophy, and most will use creative computing. Behind all these activities there is also a willingness to empower underserved communities through maker-centered learning. 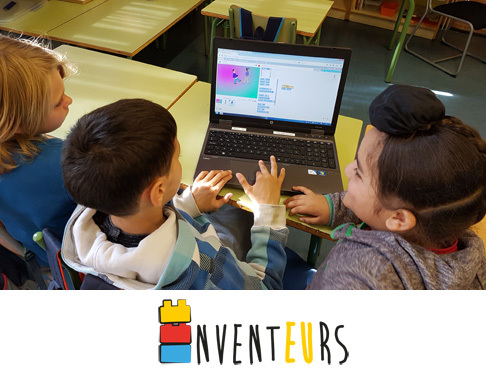 Inventors4Change connects children from India, Colombia and Spain, and encourages them to become Agents of Change (changemakers) in their communities with the help of Technologies for Creative Learning and Collaborative Digital Storytelling. The idea is to provide children with tools, techniques and knowledge that let them invent the changes they want to see in the world. During the last four years twelve schools participated in the project. Most of them are primary or secondary schools, but there also two high schools. Participating children in India are mostly Dalits (the so called untouchables) from rural areas of Tamil Nadu and Karnataka, and children from the slums of Bangalore. In Spain most of the participating children belong to low-income migrant families (for instance, Escola Veïnat has more than 90% of migrant students). In Colombia the project also focus in schools that give quality education to underprivileged children. The project's conception of learning is strongly influenced by names such as Dewey, Piaget, Vygotsky, Freire, Papert and Resnick. 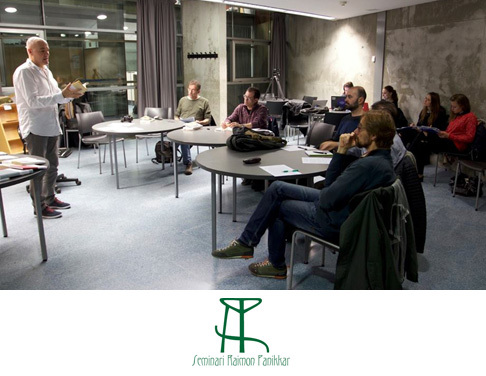 In recent years, Inventors4Change have designed and developed many formal and non-formal educational activities and workshops inspired by their ideas about learning and education. Inventors4Change’s learning model is inspired by popular learning theories such as Social Constructivism, Constructionism and Connectivism, and by modern educational approaches and movements like Connected Learning or the Maker Culture. Inventors4Change's model is called Invention-Based Collaborative Learning because it fosters a collaborative learning (across different countries) where children work in teams to imagine, invent and co-create something. In addition, the topics that children investigate every year are related to the Sustainable Development Goals (SDGs), so the project also promotes Education for Global Citizenship. In 2017 the project was awarded with the Federico Mayor Zaragoza - Education 1st Prize. Visit the project website for more information: www.inventors4change.org. UdiGitalEdu is a research group at the University of Girona. Its team develops projects in the fields of Education, Technology and International Development with a multidisciplinary approach; team members come from different research backgrounds, both from the Science&Technology and Humanities. 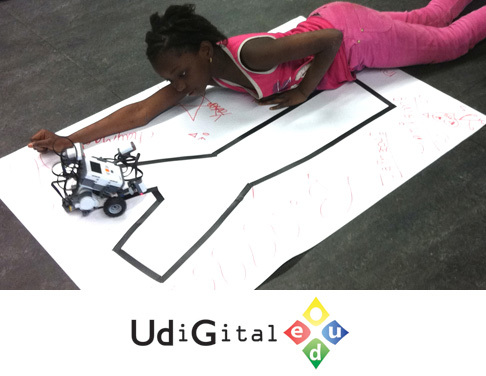 UdiGitalEdu designs and implement learning experiences for children and teachers (activities, workshops, etc.) that combine Technology, Science and Art in order to encourage creativity, critical thinking and teamwork. UdiGitalEdu wants that children and young people stop being just consumers and users of digital technologies, become creators and producers, and learn to use them to express themselves creatively. Visit the group website for more information: udigital.udg.edu. El Seminari Raimon Panikkar de Pensament Intercultural va néixer a finals del curs 2007-08. És acollit per la Càtedra Ferrater Mora de la UdG, i compta amb el seu suport, però funciona amb plena autonomia, sota el nom i la figura de Raimon Panikkar. El seminari vol ser un espai d’estudi i meditació, a partir del treball amb els textos de les grans tradicions de saviesa, com també del pensament contemporani dels diversos àmbits filosòfics amb una mirada intercultural. 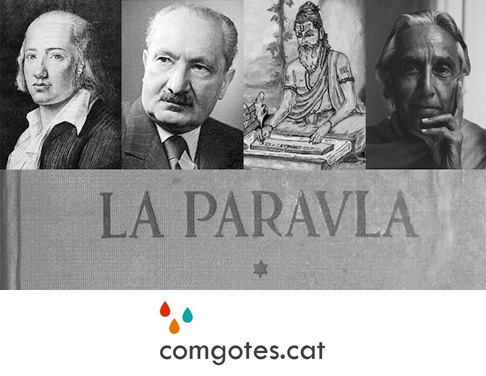 En sintonia amb la figura i obra de Raimon Panikkar, aquest seminari vol aconseguir un equilibri entre el necessari rigor acadèmic del treball intel·lectual, i una necessària i inevitable recerca interior i un creixement espiritual. El grup també actua com a dinamitzador del Fons Raimon Panikkar dipositat a la Biblioteca del Barri Vell de la Facultat de Lletres.